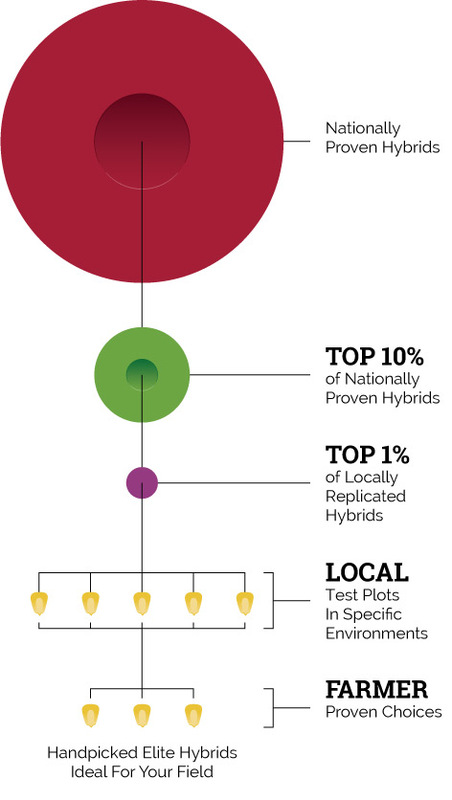 Our selection process begins with only the top 10% of nationally proven hybrids, then we carefully determine the top 1% of locally replicated hybrids from that group. Using test plots in specific local environments that are continuously monitored through 24/7 video cameras, photos, and observation notes, we are able to see firsthand how these hybrids perform. Together with farmer-proven results, yield and agronomic data from multiple sources, as well as an understanding of local soil types and farming practices, we handpick the right hybrids for your operation. One of the most significant advantages of B&A is that you’ll work directly with the owners. We are solely focused on helping farmers reach higher yield goals, and not motivated by return commissions and discount gimmicks. Our team of seed specialists only work with seed and move at a fast pace to incorporate the newest, highest-performing germplasm/traits and the latest seed-enhancing treatments each year.